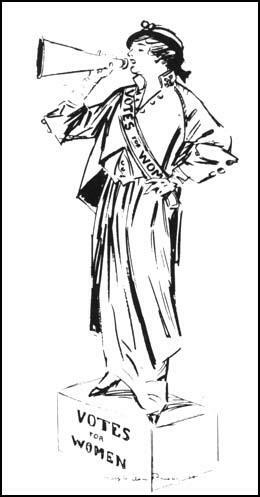 A suffrage centennial, here and there, opens doors! Who says a suffrage centennial now and again doesn’t open doors? Not us. The UK is abuzz with news that UK performer Carey Mulligan has put everything aside to negotiate a role in “The Fury,” a feature film about the suffragette movement. It has been kicking around behind the scenes for a few years, and various suffrage centennials have rescued and brought the subject matter to the attention of the media biggies. The Votes for Women centennial, for example, kicked off this year with 100 years observance for Emily Davison with a documentary, plus all sorts of cultural and political events (including an opera). And now, there’s a suffragette sit com, “Up the Women,” that has been signed up for another season. We can’t see these programs, at least for now. But it certainly will stimulate the market when the wave of interest hits our shores. Meanwhile, Norway is having its suffrage centennial. See our coverage. Suffrage centennials are great, and even greater if they’re connected to what’s happening today. The Norwegian conference planned for November fits perfectly. This entry was posted on August 4, 2013, in Blog and tagged suffrage centennial, suffrage centennials, suffrage wagon, Votes for Women, womens suffrage. Bookmark the permalink.